I have always been very candid about my struggle with weight and diabetes. It is not something that I try to hide because it is a part of who I am, however, this year I set a goal, a goal and I am determined to meet it. I keep finding excuses, scheduling more to avoid what I need to be doing, and in 4 months I have only digressed in my progress. In an effort to meet my goals, I went to my doctor for my 3 month check in and blood work…only 6 months late. Yup, it has been half a year since I had my levels looked at. I have done nothing but gain weight. I am not sure if it was from the holidays, or the hysterectomy or just overindulgence in general, but I am heavier than ever and miserable. As suspected my blood sugar levels are up and the biggest cause is my terrible eating habits. Most of which come from little planning and flying by the seat of my pants at mealtime. So after a discussion with my doctor and diabetic nutritionist, I decided to put some small changes in motion and hopefully I will see some big results. 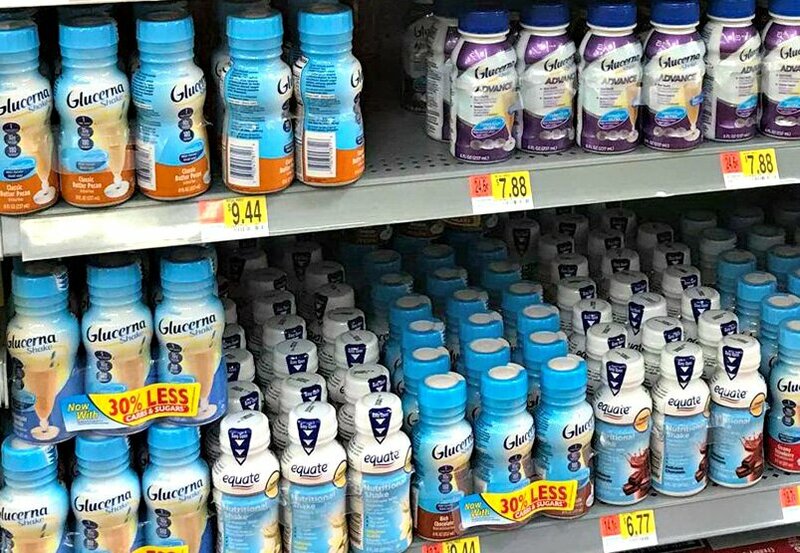 The biggest issue I have is that I do not plan meals anymore, and the doctors and I agree that this is something that needs to be a priority.With that in mind, I headed to Walmart to grab some essentials, including Glucerna and some other low carb meal options. Meal planning is something that I actually enjoy. I can save money, I can challenge myself to be more creative in the kitchen, I can set goals and stay on plan. 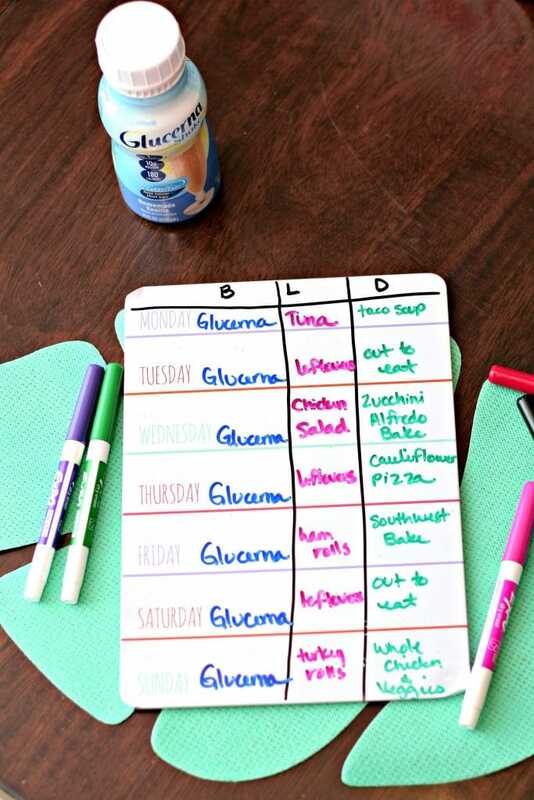 I have this simple dry erase board that I just split into three sections and wrote out my meal plan for the week. You can see that I follow a pretty low carb meal plan, however, I do try to make sure that whatever I make, my family will also eat. 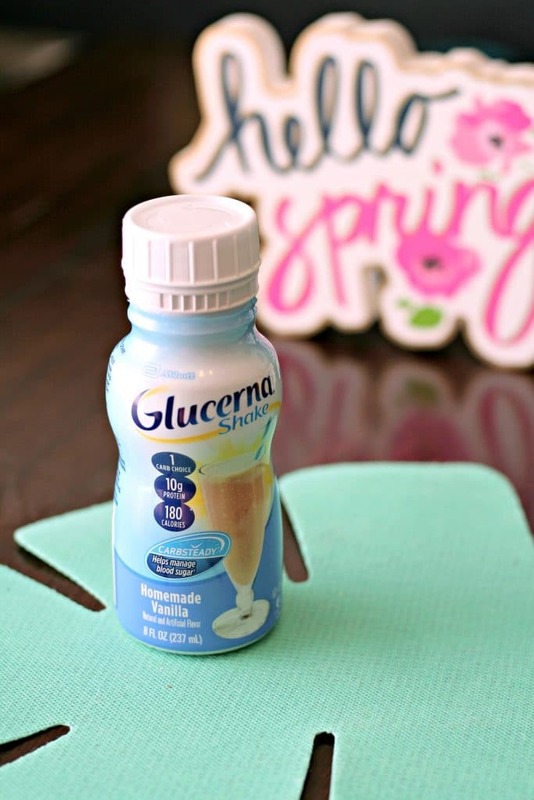 Glucerna is something that has helped me in the past, manage my blood sugar and is easy to take on the go. 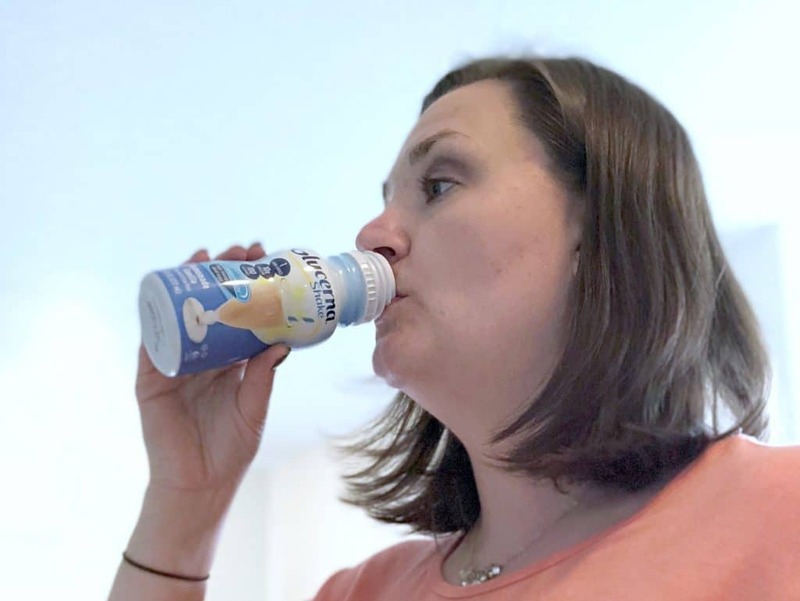 Glucerna has slowly digestible carbohydrates that helps minimize blood sugar spikes and is what we refer to as “Carbsteady” in the diabetes community. I find that by replacing my breakfast with Glucerna, I tend to stay on plan and I do not get those crazy sugar cravings. Glucerna is a great way to start my day, but I also have to make sure that I eat low carb meals the rest of the day too. One of those is this amazing cheesy Alfredo zucchini bake. It is low carb, high protein and high fat. If you are diabetic or pre-diabetic make sure to discuss your nutrition needs with your doctor before jumping into the low carb, high fat lifestyle. This recipe is pretty simple. 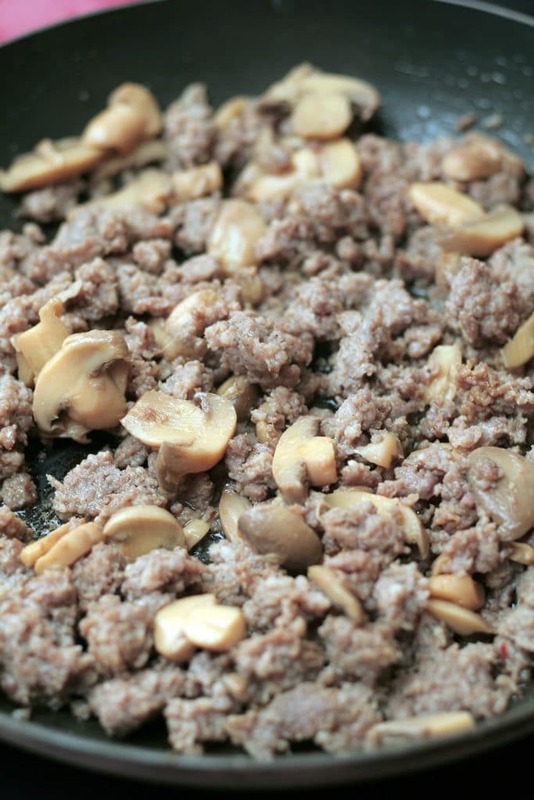 Start by browning some ground sausage and then add in some mushrooms. I use canned mushrooms, but fresh mushrooms would be great too. You can also chop the mushrooms up a bit more if you want to hide them from your kids. Prepare some zucchini noodles with a vegetable spiralizer or purchase them already made. I went with the later, since time is one of the areas that keeps me from eating healthy, I need those time savers. You will need to saute the noodles and get out a good bit of the water in them. 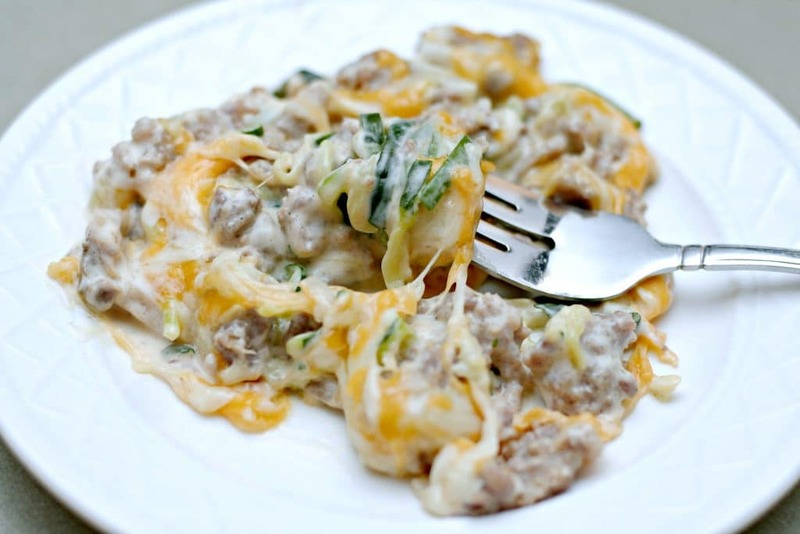 Mix the sausage, mushrooms, zoodles and a jar of Alfredo sauce together in a casserole dish and then top with cheese. Look at the Alfredo sauce nutrition facts, there are several that are very low carb! Bake until the cheese is melty and delicious and then plate and serve. 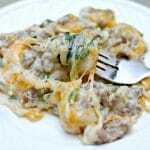 There is no need to season any of this as the sausage and Alfredo sauces typically have so much flavor. 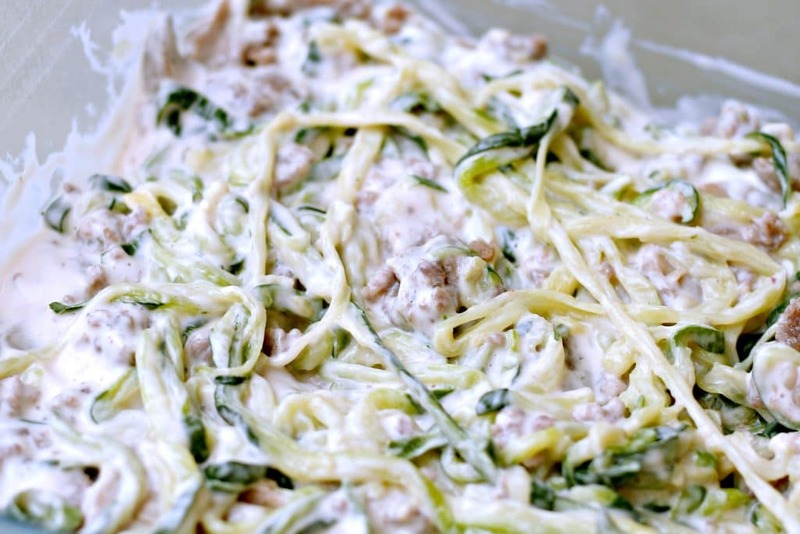 If your kids are not big fans of zoodles, you can also make a smaller dish with regular pasta. 3. 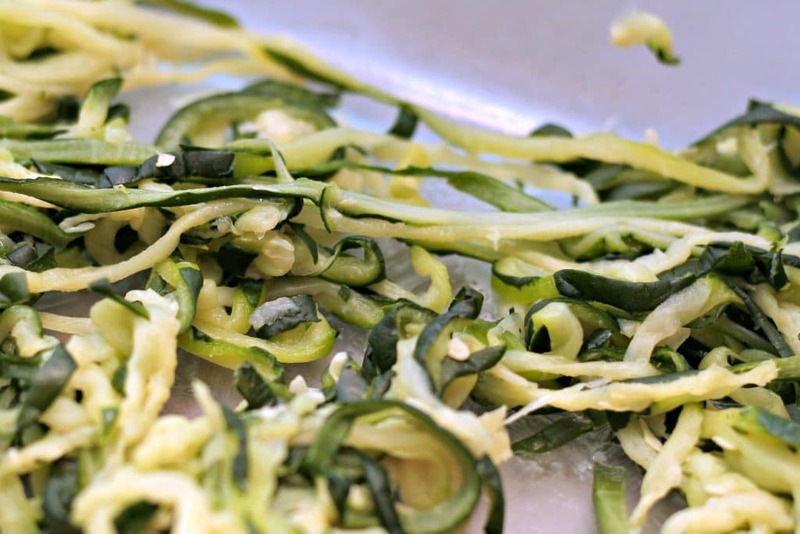 Prepare the zucchini noodles by spiralizing them and sauteing them. You can also purchase premade. 4. 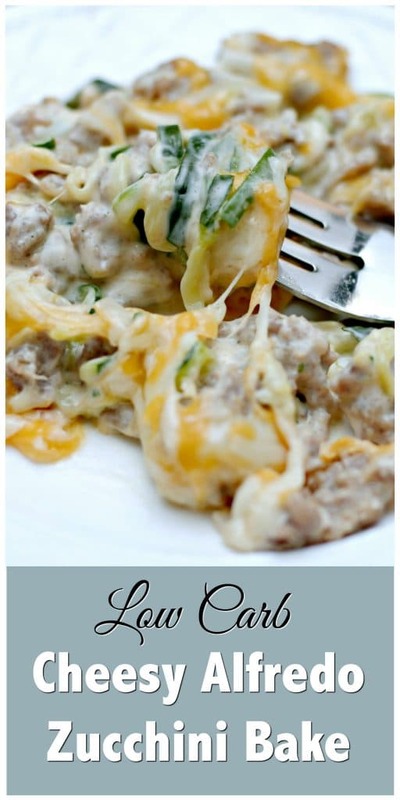 Mix the sausage, mushrooms and zucchini noodles together in a casserole dish and then pour the Alfredo sauce in. Mix well. 5. Top with cheese and bake for 5 minutes or until cheese is melted. I am pretty excited to set this plan in motion and to hopefully see some big changes. It is up to me and it all starts with a small step. 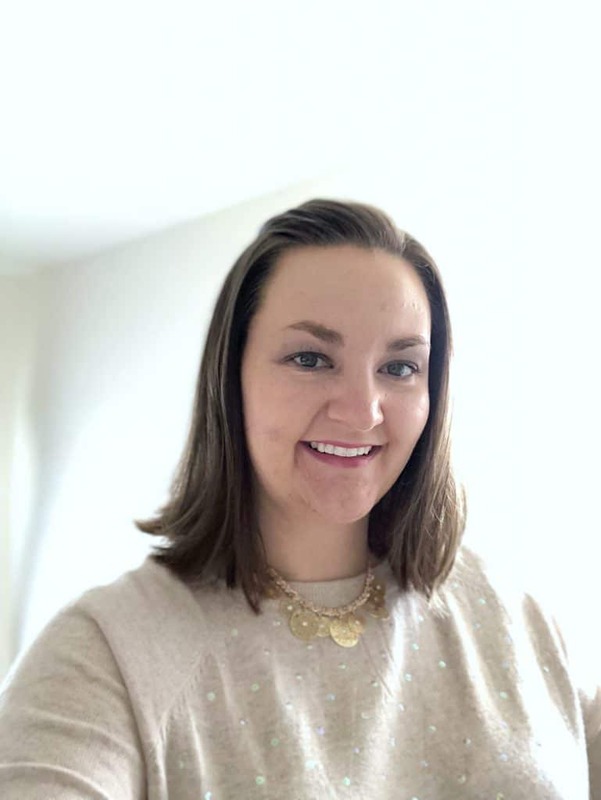 With Glucerna and a great list of meals and snacks to get me through, I am feeling more confident that I will be able to better manage my blood sugar!